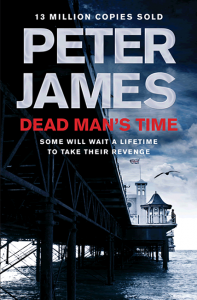 What starts as a gentle enquiry uncovers a trail of murder and guilt-ridden love that dates back to Johnnie’s student days. Harry’s search leads from a burning house in Bermuda to a graveyard in Greece, from the croquet lawns of his father’s Oxford college to the altar of one of Wren’s finest London churches. At every turn Harry discovers that the childhood world he thought he knew, was false, along with almost everyone in it. Only when he confronts his own death does he realize that all along he’s been used as a pawn in a far larger game. Dobbs was clearly put on this Earth to write thrillers of the most shamelessly page-turning quality. 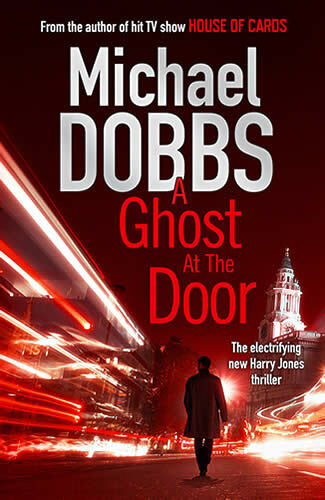 A Ghost at the Door is book 6 of the Harry Jones Thrillers, a series that started with The Lord’s Day in October 2007. Michael Dobbs became a life peer on 18 December 2010; as Lord Dobbs of Wylye, he sits on the Conservative benches in the House of Lords. For more information, you might like to visit Michael Dobbs’ website. This is a rich source of info on his life, books and future projects.